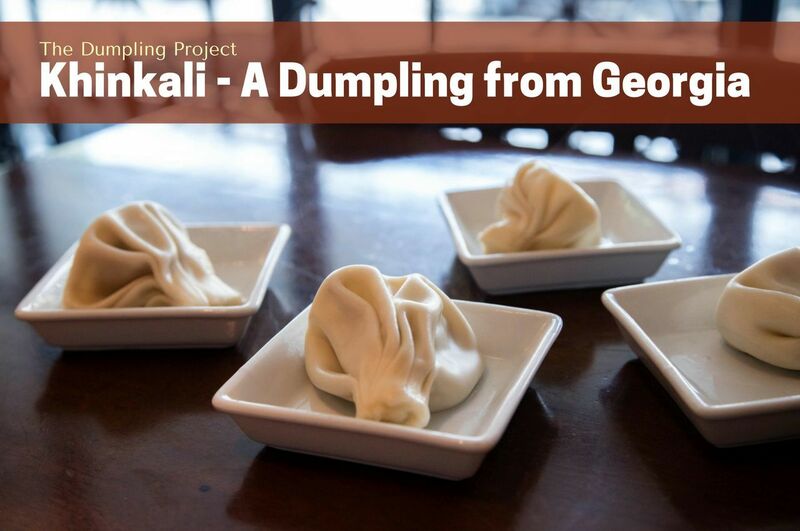 During our trip to Georgia we were determined to track down a cooking lesson on making Khinkali, those delectable dumplings that are one of their national dishes. You can read more about our adventure here, watch our khinkali lesson video here. or just continue on to the recipe and get cooking! Mix ingredients, knead for about five minutes, and let stand for about 30 minutes while you make the fillings. 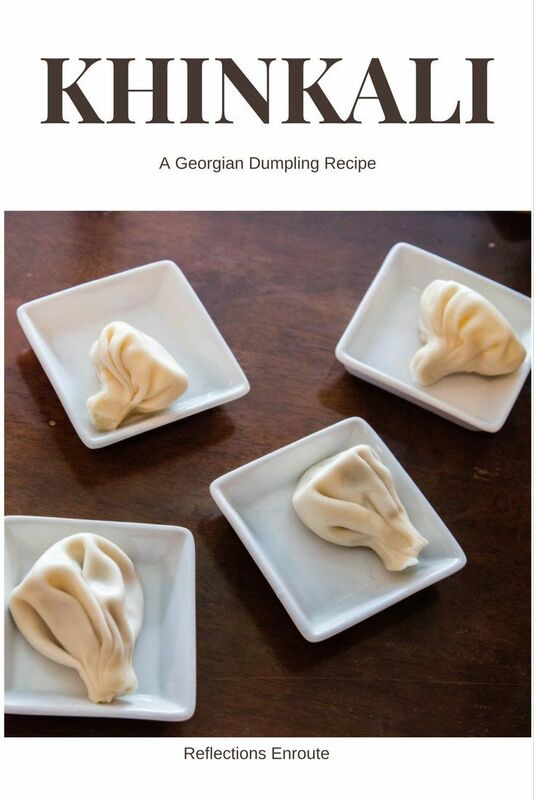 *You can use lamb instead of pork if you like, but you will need to add a couple Tablespoons of lamb fat to keep the dumplings nice and moist. Add all ingredients except liquid and mix thoroughly. The liquid should be warm, not too hot. Add the water or stock little by little until all of it is absorbed. The wetter the mixture the more broth will be in the dumpling. Mash and add butter, then let cool until you can touch the mixture. 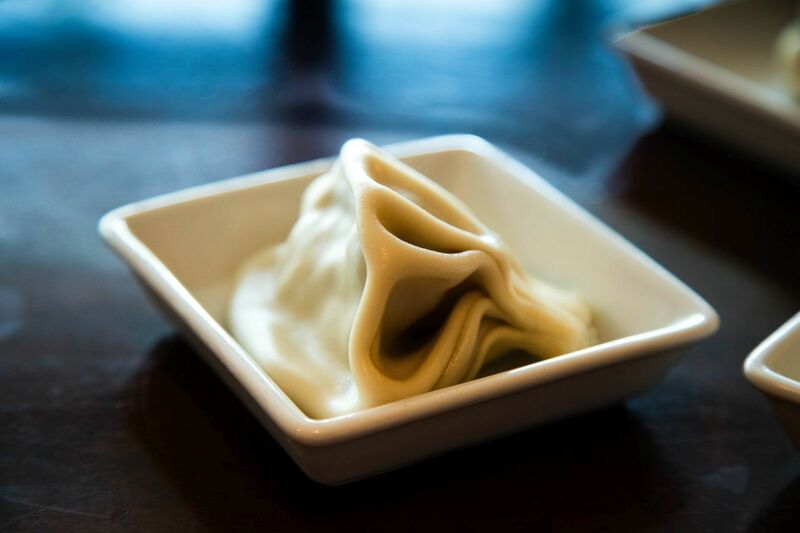 Whip cheese so it is easy to spoon onto the dough. Make sure you have a large pot of boiling, salted water. Drop about half of your dumplings in the rapidly boiling salted water for about 12-15 minutes, stirring frequently with a large spoon. The dough should be cooked through and springy when finished, floating upside down in the water. Khinkali are best served hot, and to eat them you pick up the dumpling holding the hat closest to your palm. 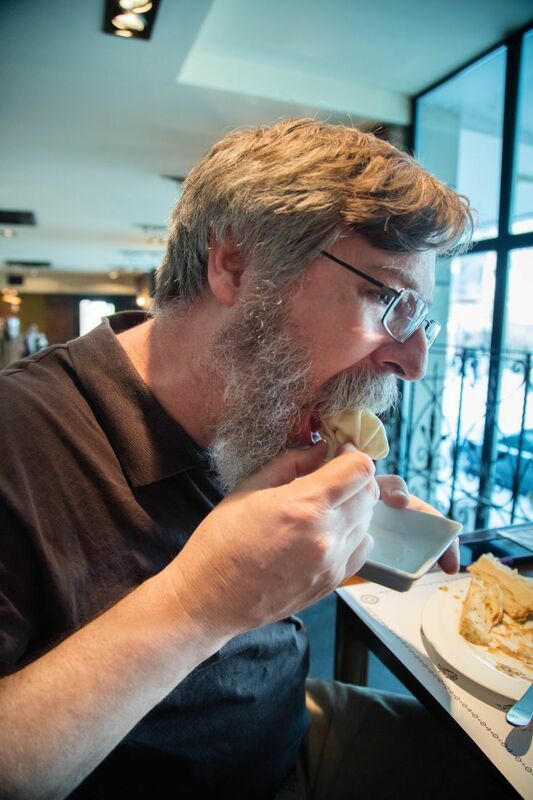 For meat dumplings, take a small bite and slurp out the broth, then gobble down the remainder of the dumpling. Thanks for the recipe. They look good and worth a go at making. Rhonda, If you do, please tell me how it went. I’ve got to try them at home still, too. I am so happy I stumbled upon this recipe! Can’t wait to surprise my family. Thanks for the recipe, Corinne! Agness, Are you good at folding them? That’s my downfall! Good luck!